While looking for this vaguely remembered book I had in mind its gorgeous cover art. It's been a good ten years since I read "Taming the Forest King" but I still could have described its very apt and autumnal cover. So when I kept coming up with the American art, shown right--I thought 'No that's not it'. It wasn't just that the art was different. I knew full well that the version I read was most probably British and the one I would find online would most probably be American. (I would have read the UK version due to a book monopoly deal relating to the New Zealand market that I will discuss another day). But there was no way this cover could in any way be associated with the story I had read. Who was this generic sword bimbo? Where was my matter-of-fact calavry colonel? That art would fit Red Sonja far better than poor Tevra! What is it, I wondered, with the 'Betty and Veronica' effect--all women on American cover art look the same! Am I being to harsh? Is this just my Antipodean prejudices showing? Is there really any big difference? It seems to me that British covers lean towards line art and a sort of classic hand-drawn illustrated look. American covers lean more to paint and stock photos, interspersed with generic abstracts and cloned women of various types. But I wanted to do a little test, based on a book with several UK and US covers. The only example I could come up with that has multiple editions in each country may be far too well know to represent any challenge, and it didn't meet my pre-conceived notions very well... but let us try. 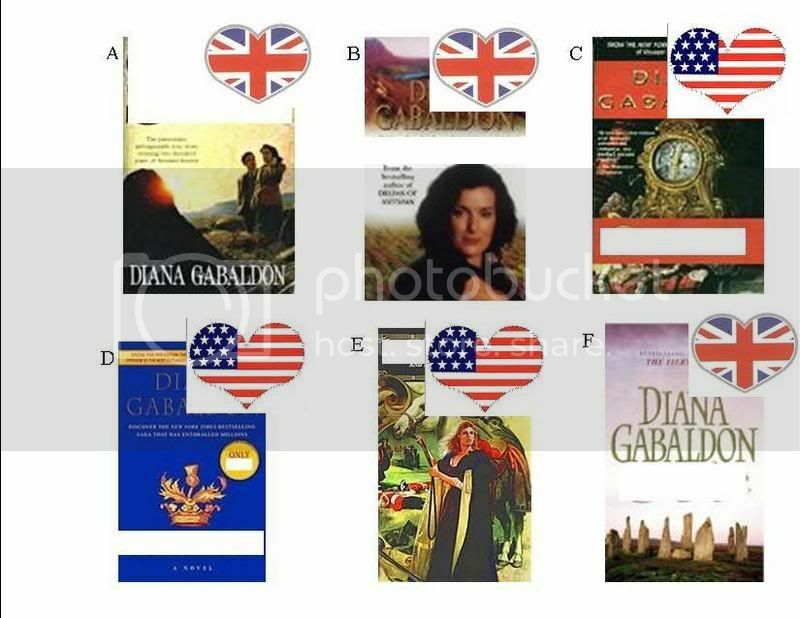 Below are shown three UK covers and three USA covers for the same book. Which is which? Can you tell? (Title covered because it is different in the US and UK). C, D, and E are brit, I guess. I'll go with A, B, and F as Brit. LOL, I guess we have a disagreement right of the bat. Answers posted--I feel vindicated that half of you got it 100% right!